Why Your Phone Needs an App Security Lock? With hackers regularly improving their skills to assess your data and steal it for themselves, it could just not be possible for you to be completely sure that your data and apps have been 100% protected. The best way to get this wholesome assurance is to install an app security lock that will help prevent hackers and thieves from accessing your private apps thus guaranteeing complete web security. Hackers get into your voicemail through which they hack the data that is stored on your phone. This is the more rare option and is mostly executed by a friend or a close family member looking out for revenge. Hackers can execute their planned task by using the phone hacking software. Your life can almost get ruined as these hackers steal your data by installing malicious software on your phone that collects your personal logins and scans your emails. A good app lock will always allow you to quickly and easily lock apps. There are a few app locks that provide varying levels of access allowing you to set child use or guest use, based on what you want to prevent access to. With an app lock, you will be able to lock specific content like emails or photos, thus restricting the ability for others to access all these personal documents. An app lock will provide passcode options, however, there are several locks that will also need an extra step to unlock in order to prevent individuals from guessing your passcode or obtaining entry. Parents are presently worried about children of all ages obtaining access to app stores or financial details, or even unintentionally buying in-app content. 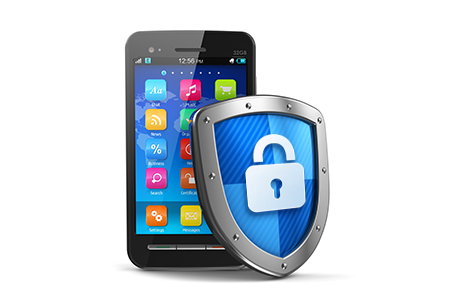 An app lock will help in preventing such things and protecting you from unwanted expenses. There are apps that will stop functioning once a device goes to sleep. A good lock app will keep apps locked when a phone goes to sleep and also when it wakes up, ensuring to keep your info safe whether you’re around or not. There are app locks that do not directly reveal that you have prevented unwanted access to your apps, but instead, they only give prompts once access is attempted. Since an app lock is always aware of the latest apps installed on your phone, an additional feature could refer to the fact that it allows you to effortlessly control your phone’s storage amount by permitting you to easily delete all unnecessary apps. If you desire to add a few neat design features, you can make use of the app lock software that allows you to opt-in to app designs or different home screens based on the access level that has been selected. Since app lock is a security feature that allows you to decide who has access to what on your tablet or phone, a number of systems will also include additional security features that look out for unwanted phone snoops or app-related malware. Hide your private conversations via messenger apps like Skype, Whatsapp etc. After an app gets protected, a lock screen will be displayed every time the app is accessed from the menu screen. The correct unlock pattern will have to be drawn for opening the app. You can access the Comodo App Lock from the Antitheft interface by just touching the options icon at the top right of the home screen and choosing 'App Lock'. You will be taken to Google play store if the Comodo App Lock has not been installed on your phone and from there you can download and install the app. This should be followed by selecting 'App Lock' from the given options in order to open the Comodo App Lock. The app will be opened if Comodo App Lock has already been installed on your phone.